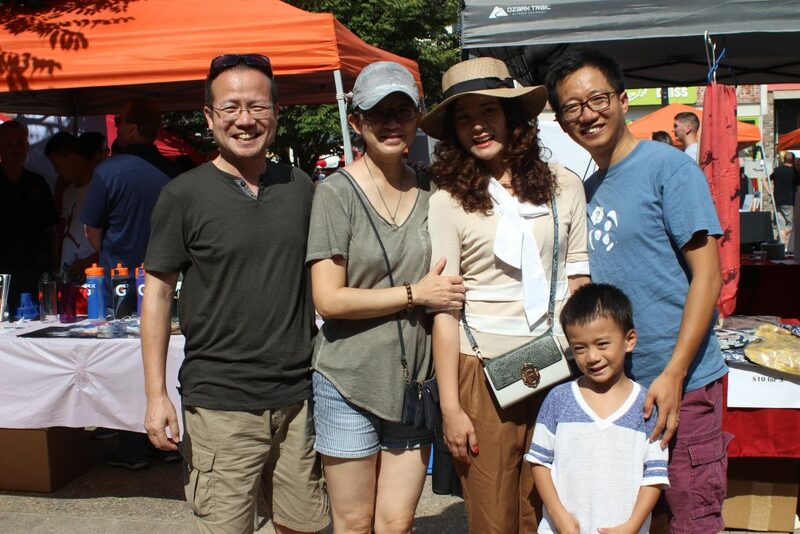 Innovate Manufacturing Vice President of Operations and Co-Founder, Jimmie Yin, with his wife, and Waterman Cao of Radio Systems Corp. with his family behind the Innovate and TNCN booths at the Knoxville Asian Festival 2017. The Fifth Annual Knoxville Asian Festival is now searching for sponsors and business participants to purchase booths and sponsorship packages for the day-long festival. The festival will take place Sunday, August 26, 2018, from 11 am to 6 pm at Market Square in downtown Knoxville. Last year’s festival attracted nearly 30,000 people. In addition to offering Asian musical and dance performances, authentic food, interactive children’s activities, and a Healthy Living area, the festival will also feature a Business Connection area with booths for Asian businesses invested in the Knoxville area, local companies that do business with Asia, unique Asian crafts, and more. Purchasing a sponsorship package and/or booth is a great way for your company to gain exposure, as you can reach out to potential customers, network with other businesses, connect with job seekers, and outreach to the Knoxville Asian community.